The Crystal Football and Pedestal Fantasy Sports Trophy is perfect for adding more class to this year's fantasy football league awards! 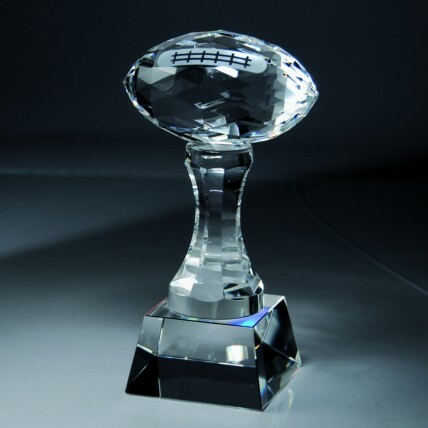 Measuring 9 inches in height, these solid crystal awards feature a football atop a pedestal. Your free etching will be sandblasted on the crystal base at no additional charge! Add a logo and message and truly impress your league winner!